No Clog Gutters, Davidson, NC | G&S Contracting, Inc.
No clog gutters give you all the benefits and protections of gutters without all the hassle and time of having to clean them out in Davidson, NC. No Clog Gutters in Davidson – Cleaning out the gutters is a dreaded task most homeowners put off as long as possible. It’s tedious and treacherous balancing up on a ladder for hours on a weekend when you would rather be relaxing. But like many other home maintenance chores, it’s something that has to be done, or you’ll suffer the consequences later on. When gutters clog, they are unable to perform their intended task, which is to direct water away from the home’s foundation. If water is pouring off of your clogged gutters and not being diverted away from your home, the foundation will begin to wear away over time. This will eventually damage your foundation, which will be an extremely costly repair. At the very least, the water will cause mold to grow. Overflowing gutters will also cause the water to pool and sit in the gutter, which can cause rotting if the gutter system is made of wood. The water may also spill over the side and run down the side of the house, causing damage on the outside of the home. Leaf Solution no clog gutters are easily installed on any existing home gutter system and can be the perfect complement to new construction. 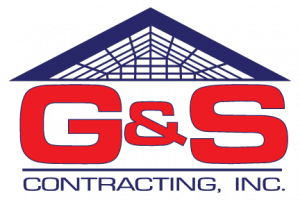 Here at G&S Contracting, we strive to achieve 100% customer satisfaction, and we know you will love this product, which is why we offer a 100% guarantee or your money back. We are happy to come and install no clog gutters on your home at your earliest convenience. We love serving the people of Davidson, NC, and it shows from our A+ rating from the BBB. Give us a call, and let us put an end to your gutter cleaning days today!